While Brandon is releasing information that makes spreads move by 3 points, Vegas Martin is scouring the week 9 NFL spreads to find where the easy money can be made. Last week, Vegas’s top 4 plays scored a 3-1 record. We lost a little on the Chargers, but we knew it could be difficult to cover 16.5 and were warned by reader TGIS about his skepticism of the play. In all honesty, I was fully expecting the Raiders to put 6 on the board and the Chargers to get a minimum of 24, but sometimes the Chargers just don’t give give a f@#% about beating the pants off a crappy team like the Raiders. Accordingly, I hedged my bets with plays on the Cowboys, Texans, and Bears, which all hit with relative ease. If you also read the comments, you hopefully cashed in on the NO/ATL over 55.5 or my teaser of Saints -5.5 or Falcons +18.5 and the over 49. That’s why you always have to read the comments for updated info on the game. Feel free to ask me questions on spreads, more feedback on certain games, or whatever is on your mind, and I will always respond, so use the comments section to your advantage. Don’t forget to check out Brandon’s Week 10 College Football picks. UPDATE: I should have listened to my own advice. You keep hearing me talking about “home teams off the bye week.” Well, two of them won and I picked against them. To my surprise and to everyone’s, not only did the Bucs get their first win of the season against the Packers, but the Bengals also defeated the Ravens. At least we were able to get some of that back with our Falcons pick, but I’m quite stunned after those two games didn’t work out. I didn’t think the “at home off the bye week” would be able to help a winless Bucs team. The 4:00 games also treated us well with the Chargers and Seahawks helping us go 2-0 at the 4:00 time slot. I should pass on this game completely since you have the option of a crappy team at -6.5 or a horrendous team at +6.5. It’s no secret that the Jaguars have sucked it up big time in the past 3 weeks. They got pantsed by the Seahawks 41-0, failed to cover at home against the Rams, and lost to the winless Titans last week while they watched Chris Johnson gain over 200 yards. The Chiefs, on the other hand, have the 30th ranked offense and defense. I was tempted to say take the points, but I’ll stick with the Jaguars at home and give it a mere 2.5/5 rating. This game screams major fantasy points for MJD. I don’t want to brag, especially since it was a pretty easy call being at home off the bye week against a west-coast team at 1:00, but I called the Broncos first loss last week. The Ravens offense has been solid all season, but we finally saw glimpses of the old Ravens unbreakable defense last week. It looks like somebody woke a sleeping giant last week. This week the Bengals will be the home team off the bye week, which I’ve been preaching about all season, but I’m not going to play that card in this game. The Ravens are playing with a fire in their belly and with the Bengals at 5-2 and the Ravens at 4-3, the Ravens know they have to win this game if they want a chance to make the playoffs. Want a reason to take the Ravens? How about their 28.4 PPG, ranked 4th in the league. Worried about Cedric Benson? How about the Ravens 4th ranked run defense. I’m booking the Ravens to win in convincing fashion. I was ready to say take the points last week with the 49ers, but I’ve been riding the Colts all season long and with their 2nd ranked offense and defense, I couldn’t take the 49ers even at +13. I did however give the Colts -13 a mere 2/5 rating showing a complete lack of faith in them covering the high spread. I will never ever bet on a Texans/Colts game. Will not do it. In the last 5 years, these teams are 5-5 ATS against each other, so it’s always a toss up. The Texans offense is clicking right now and they’re putting up serious points. I don’t see them winning this one, but I do see them hanging in there blow for blow with the Colts. I’m actually going to say take the points here, but it’s not a strong play since the Colts can always play out of their minds. I think the Colts win this one by 4-7 points. I would wait to see if you could get this spread at Texans +10, but that’s not likely in the cards since 48% of the public is betting the Texans. The over/under is set at 48 and 92% of the public likes the over and I like it too. I would like it a lot more though if the Colts didn’t have a 1st ranked defense allowing just 13 PPG though. Now here is a game that I really like. I was fortunate enough to grab this spread at 9.5 before the line moved to 10 (and it has moved back down to -9.5 again). You know I love betting against the league’s six worst teams (Lions, Rams, Browns, Raiders, Chiefs, Bucs) each week and it’s been a successful strategy thus far. With the Bucs 28th ranked offense and defense, I don’t see how they can keep up with Aaron Rodgers and company. My only concern is the Packers offensive line. The Packers had rookie LT T.J. Lang starting over Chad Clifton last week and Lang had the pleasure of facing Jared Allen. You just knew Aaron Rodgers was going to get pressured constantly that game. This week, the Packers may go back to Clifton. In any event, I don’t think it really matters since the Bucs are ranked 29th in the league in sacks with a total of 11. The Bucs should be poised for a beat down, but will the home game off the bye week save them? Highly doubtful for a team this bad. One of our readers played the Panthers moneyline at 4-to-1 odds last week just on the idea that the Cardinals “are due for a loss” and that’s exactly what happened. There’s always at least one big suprise each week that leaves you scratching your head. For some reason, the Cardinals are playing much better football on the road than they are at home. I can’t figure them out at all this season. I don’t know what to do in this game, so I’m just going to skip over it entirely. Previous Release: We’re still waiting on the line here. I have a feeling that it will be -10 or -11. I really like the Falcons here at -9.5. I’ll keep you posted when the spread is released. Update: The number came in and it’s -10. The Redskins are a horrible team. Their offense is non-existent and their defense is losing focus. The loan bright spot on their offense is TE Chris Cooley and he will be sidelined this game due to an injury. The Falcons are playing solid football and just fell short of beating the Saints on the road. I think this is an easy win for them here. They should have no problem winning by about 14 points. A little buyer beware notice on this one, the Falcons are only on 6 days rest while the Redskins have 14 days rest. I still don’t think it makes a difference in this one, but take that into consideration. Patriots are another home team off the bye week. Brady is back to being stupid good again and faces a defense that is ranked just 21st against the pass. I expect the Patriots to want to come out and get some revenge on a Dolphins team that completely embarrassed them last season on their home turf. With two weeks of preparation against the wildcat, I’m sure the defense has gone through plenty of reps and done plenty of homework on ways to contain the wildcat. The Dolphins were pretty flat last week. Their offense was only responsible for 9 points. 21 points came via a defensive TD and 2 kickoff returns by Ted Ginn. Don’t expect that to be replicated. This is another game where I’m tempted to say take the points, but I just don’t see the Dolphins having a lot of success on the road against a red-hot Patriots team. This isn’t going to be a great spread to take, but I say the Patriots cover by 0.5-3.5 points. The public is split 50/50 over this game and 3/3 “experts” at Covers.com like the Dolphins so take that for what it’s worth. In the Patriots 2nd game against the Dolphins last season, they won 48-28, so they know how to beat this team big. This pick comes down to whether or not Calvin Johnson will play. Calvin Johnson is listed as questionable. If CJ is in the game, I will pass on it. If CJ is out, I really like the Seahawks -10 and that’s all their is to this one. Good job by the Titans on getting their first win of the season. I don’t like taking the 49ers here since Chris Johnson is capable of winning games himself with just 4 offensive linemen. Vince Young was also solid last week, completing 15/18 of his passes and rushing for 30 yards although nothing was really impressive from him. Not a bad game plan for the Titans. Have Vince Young dink and dunk down the field and hand the ball off to Chris Johnson 2/3rds of the time. The 49ers are the 2nd ranked run defense though, which bodes well for them in this game and they have Patrick Willis on Chris Johnson like white on rice. I’m expecting a pretty tight game, likely a couple lead changes, so there’s really no betting edge on this one. Previous Release: The spread for this game hasn’t been released either, but I think you can expect -13 here unfortunately. I would love this spread at -9.5, but I don’t think the sports books are about to make it that easy for you. I will keep you posted once the spread is released. Update: I nailed this one with the -13 spread being released. The Panthers really surprised me last week. I don’t like this spread since the Panthers can get their running game going, which could eat up the clock and give the Saints less opportunities to score points. The Saints can basically outscore anyone. Every time they get the ball, you pretty much expect them to score points and they’re averaging an insane 39 PPG. 8/9 experts at Covers.com are picking the Saints. I like the Saints to cover in this one, but one buyer beware notice: the Panthers beat the Saints outright twice last year, but I’m not putting much faith in that since the Saints are clearly stronger and the Panthers have taken a giant step backwards. I just think there’s a good chance the Panthers running game gets them in the money this game. After the Chargers were unable cover against the Raiders last week albeit at 16.5 points, I would be all over the Giants if the game was played at 1:00 (west coast team playing on the east coast factor), but the Chargers have the advantage of not having to kick off until 4:15. The Giants are coming off three straight losses and as much as I would love to see them lose their 4th straight, I don’t see it happening at home. The Giants do have a lot of issues in their secondary though. They’ve had a lot of injuries to their CBs and their starting safety Kenny Phillips is out and you saw the Eagles dominate that matchup last week. Unfortunately, the Chargers defensive unit is not playing up their potential, otherwise Chargers +4.5 would clearly be the play. I just think there’s too many question marks in this game to make either team a strong play. With the way Philip Rivers is playing, I think he really exposes the flaws in the Giants secondary ala Donovan McNabb last week, Kurt Warner the week before that, and Drew Brees the week before that. I think you’re better off taking the points in this game. My judgment is clouded in this one since I’m an Eagles fan and rooting for the Giants to lose, but these teams are pretty even on paper so I think you take the points here. Another tough NFC matchup. Eagles are back on track with two straight wins over the Redskins and Giants in convincing fashion. The offensive line has gelled after the Raiders debacle. Cowboys are clicking too. This one has the makings of a back and forth offensive showdown and is equally likely to be a defensive tussle, which makes it hard to call the over or under on the 47.5. I’m just going to have to pass on this one being an Eagles fan. The Broncos no longer looked like a 6-0 team once they had to face a strong defense like the Ravens. I’m giving the edge to Pittsburgh in this one due to their solid defense that is also coming off a bye week. Kyle Orton was held to a dismal 152 yards last week and just 4.1 yards-per-passing-attempt. With Troy Polamalu back, I think that really takes away the Broncos passing game, which allows that front 7 to focus on stopping the Broncos running attack. I think you see similar results from last week. The Broncos defense will give the Steelers a hard time, but I think you want to be on the side of the Steelers in this one. As of now, I only really like the top three spreads. How do you feel about parlays? I just started betting, i’ve done it twice now. I only bet $10 on a 4 game parlay. $10/week is not a big deal to me, and it makes the games more interesting. and if i win, i win big. how do you feel about parlays in general?? Thanks!! We’ve had a lot of our readers hit some big parlays recently. We had a couple 3-team parlays hit and one guy even took down a 6-team parlay. I wouldn’t wager anything major on parlays since one team will usually end up busting your card, but it can certainly keep things interesting and when they do hit, add a ton of coin to your bank roll. This isn’t a great week for parlays. The only parlay I would endorse right now is Packers -10/Ravens -3. What do you think about buying points down? For example I can get the packs at 10, but I know you love it at 9.5. If I were to buy a point it would cause me to lay another -10 on my bet. Generally speaking Is it worth it to lay the extra money or is it better to just pass when the line moves in an unfavorable direction. Been taking your advice for a few weeks now and cashed in nicely. Hope you enjoyed the beers. Thanks for the time. I think the Pack win this one by 17, so I don’t think it’s a necessity to buy the half point, but for $10, why not just in case they do win by 10. I usually will only buy 0.5-1.0 point. You want to buy a half-point when the line is -3.5, -7.5, or -10.5. I’m sure some people got suckered in paying way to much to buy the Saints -12 down to Saints -10. Its when you start paying a lot to buy points that will end up hurting you. What about the Monday night game Steelers or Denver because I’m thinking Big Ben what u think? 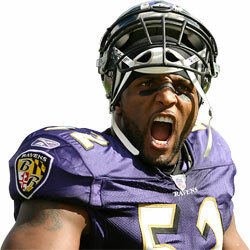 sportsbook has the Ravens -3 at +105. Everyone knows the Ravens need this one just as bad as last week’s, but do you have any reservations about the Bengals as home dogs in a contentious division? Like I mentioned in the write up on the game, I don’t like the fact that the Bengals are at home off the bye week. That is a significant factor that is to their advantage. I just think the Bengals are a bit overrated at 5-2, although I must admin that they’ve had some very impressive wins. I also think the loss of DE Antwan Odom really slows down that pass rush of theirs. I don’t think this game is a lock, but I’m very confident the Ravens will win this one because they need to win this game more than the Bengals do and I loved what I saw from the Ravens last week, especially on the defensive side of the ball. 85% of the public likes the Ravens and I think it’s the play to make in this game. I just don’t really the see the value in those round robin bets. It gets pretty expensive very quickly. I would again encourage putting that money towards individual single game wagers. Ty Brandon… Good Luck Brother.! Has a decision been made on Calvin Johnson yet? I figure Seattle should cover either way, but I know you were debating on units with his status….Also, what are your thoughts on Atlanta-10.5 @ Washington? In my opinion thats alot of points to give up for a team who went all out on Monday…..
Quartez, I posted my pick on the Steelers/Bronocs game and I like the Steelers in this one. Dan, Calvin Johnson is likely to play. I still think Seattle is the play, but that pick is now down to my 5th strongest pick this week. I also like the Falcons this week. You may think that the Falcons are gassed after a tough game against the Saints on a short week, but I just can’t overlook how bad the Redskins are. The Redskins are averaging 13.7 PPG. I think the are held under to under 14 and the Falcons shouldn’t have any problems scoring 24 against them. I am doing a parley this week & so far am taking the Packers,Ravens & Falcons & was wondering about your suggestion on the Charger-Giant game & possibly taking the under on the Saints-Panthers game? I really like the Giants, Redskins and Ravens. Also the Texans. Hey guys… I got absolutely destroyed yesterday. Worst day ever. This is a tough week, but I still like my picks. I was away the last few days, but I would have been all over Pitts over Syracuse. I love betting against Syracuse. There were more than just a few upsets in college football this past week. Oregon, Notre Dame, Michigan, and Penn State all lost — I’m sure a lot of the public was riding those names. Packer really messed me up too along with probably most people. Never would have went with the Bucs. Obviously it wasn’t the right play, but I don’t think many people made the opposite play. Bucs are still bad. Too many TO by the Pacs. Hang in there. There’s always week 10. What do you think about the over/under for tonight MNF game? I’m thinking Pitts under. Did the 4:00 games help anyone out? I had two in my top 6 and they both hit. A pick 6 at the end of the Seahawks gave them the cover and the Chargers were another team that won in the last minutes. Wild games.